Some passionate and eloquent liberals have bemoaned the state of inclusiveness among Jews today. Leon Wieseltier, editor of the New Republic, penned an angry piece “J Street’s Rejection Is a Scandal” about the exclusion in 2014 of J Street from the Conference of Presidents of Major American Jewish Organizations. 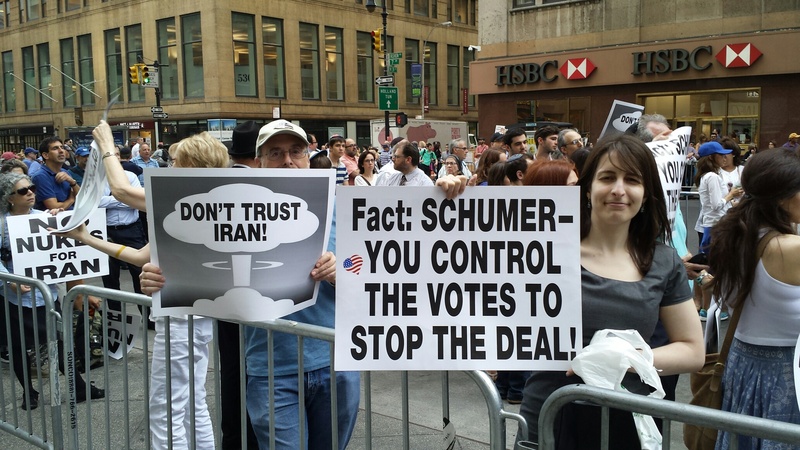 Angry voices are again being heard about J Street due to their position in favor of the Iranian nuclear deal promoted by the Obama administration. Is Wieseltier correct in that we only seek to hear our own voices and that “the orthodoxies and the bubbles and the closed loops and the echo chambers are everywhere?” Is there a “red line” that J Street and others have crossed and therefore deserve to be excluded from the broad tent of acceptable conversation? Many countries have laws that ban hate speech. Sometimes the exact language is clearly spelled out about what cannot be said publicly and sometimes it is more general in nature. For example, several European countries, including Germany, have laws that prohibit Holocaust denial. Those countries took such steps not simply because such expressions offend Jews, but because of the continent’s failure to step in and protect Jews which led to their slaughter. Silence became complicity which must never be allowed to happen again. The various laws against hate speech all seek to curtail an incitement to violence and harm. The banned speech relates to a specific group of people (ie. Muslims) and not a concept (for example, a religion like Islam). While a person can legally say disparaging remarks about a concept (“Communism is evil”), one risks breaking the law by attacking a group of people (“All Communists should be beaten up”). Hate Speech laws are typically drafted against individuals. However, laws are also drafted against groups that incite violence. Israel banned two political parties, Kach and Kahane Chai in 1994 as they were defined as terrorist organizations. The groups’ ideology was based on the teachings of Rabbi Meir Kahane who called for expelling Arabs from Israel, thereby running afoul of the premise of calling for negative actions against people. Israel has also banned some Arab parties from running in elections which supported terrorism. Liberals and J Street supporters feel that BDS (Boycott, Divestment and Sanctions), Hamas and the Iranian nuclear deal should be rightly within civil discourse. However, do these topics and groups support violence against people, or are they just broad discussions about policies and ideas? BDS: Reasonable people can arrive at different conclusions about Jewish settlements in Judea and Samaria. Some feel that all the settlements are completely legal as called for in international law in 1922, while others feel that Jews living east of the Green Line is against international law as recently stated by the UN Secretary General. Those competing viewpoints would fall within legal and acceptable conversation, both in public society and in an open-minded pro-Israel community. However, inciting hatred against settlers is inciting violence. Calling on the economic strangulation of Jews who legally purchased homes and businesses is akin to hate speech. 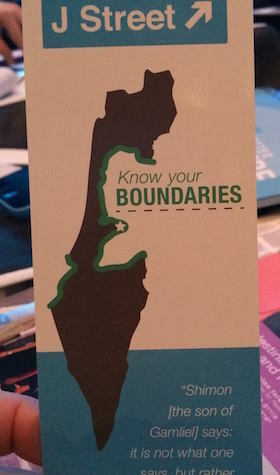 As such, new laws are being passed which specifically outlaw supporting BDS. 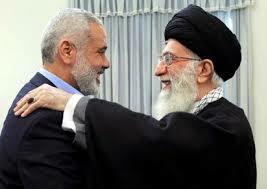 Hamas: Hamas is a rabidly anti-Semitic organization that calls for the complete destruction of Israel. It has fired well over 10,000 rockets into Israel, killed thousands of people in hundreds of attacks. Since completely taking over Gaza in 2007, Hamas has engaged in three wars against Israel. Supporting Hamas in any way is supporting terror. 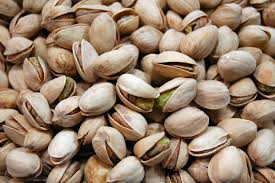 It should be banned completely in public society and in the pro-Israel tent. 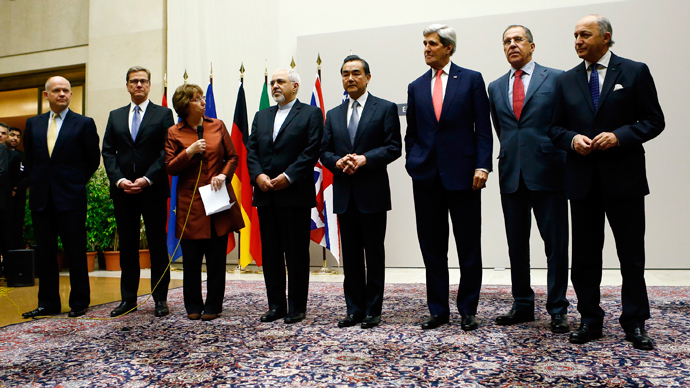 Iranian nuclear deal: The Iranian nuclear agreement took various turns over the past several years. As Iran openly calls for the destruction of Israel, any group supporting Iran or helping Iran obtain weaponry would be supporting violence against Israel. While the Iranian deal may arguably slow down Iran’s pathway to nuclear weapons, it certainly gives Iran tremendous financing and weaponry. As such, 78% of Israelis oppose the Iran deal in its current format. J Street has taken provocative stances on these three issues. On BDS, the group technically states that it opposes the BDS movement, while it supports efforts that do call for BDS, particularly of communities east of the Green Line. On Hamas, the group’s own website states that “Hamas is a political movement with an important and significant base of support within Palestinian society… and we support efforts by third parties to achieve reconciliation [between Fatah and Hamas which Israel opposes] and a unity government.” One could similarly say that the Nazi party was a political party. 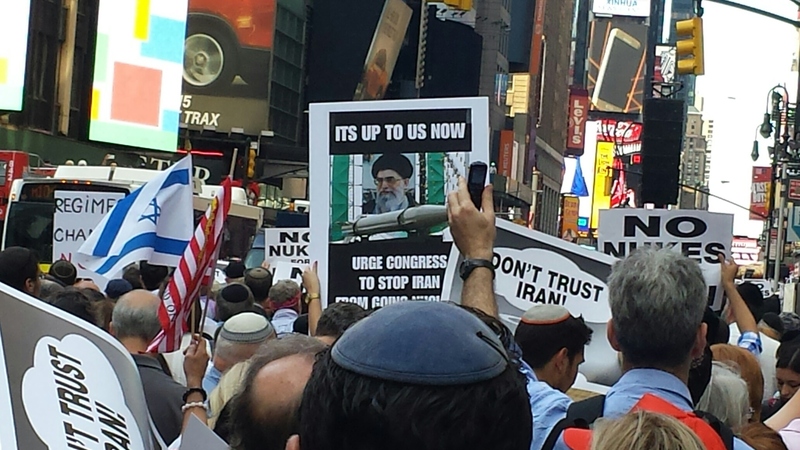 On Iran, the group launched a major campaign to support the deal, in direct opposition to pro-Israel groups such as AIPAC and the government of Israel itself. 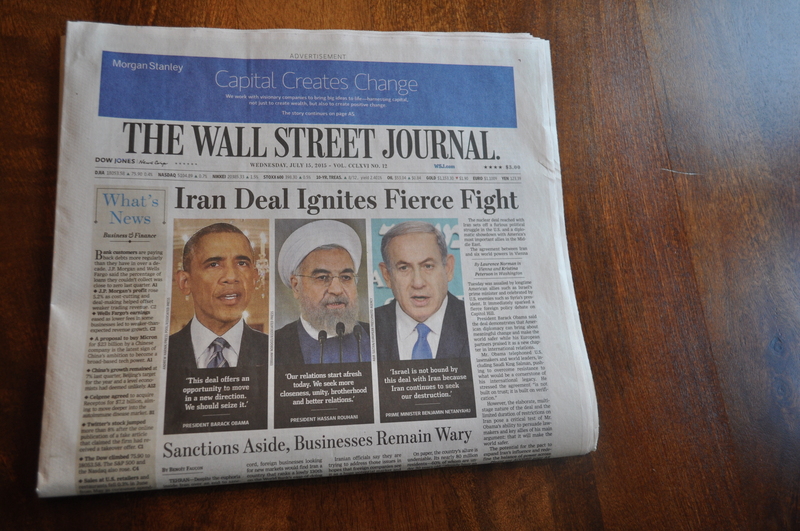 J Street was even against Iranian sanctions in 2009. 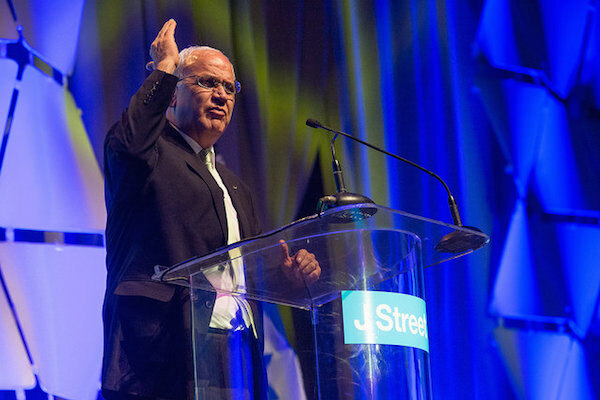 On these issues which directly harm Israelis and the state of Israel, J Street has sided against the stated desires of the government of Israel. Each time, they have taken stances which closely align with Israel’s enemies which seek to harm the country and its citizens. 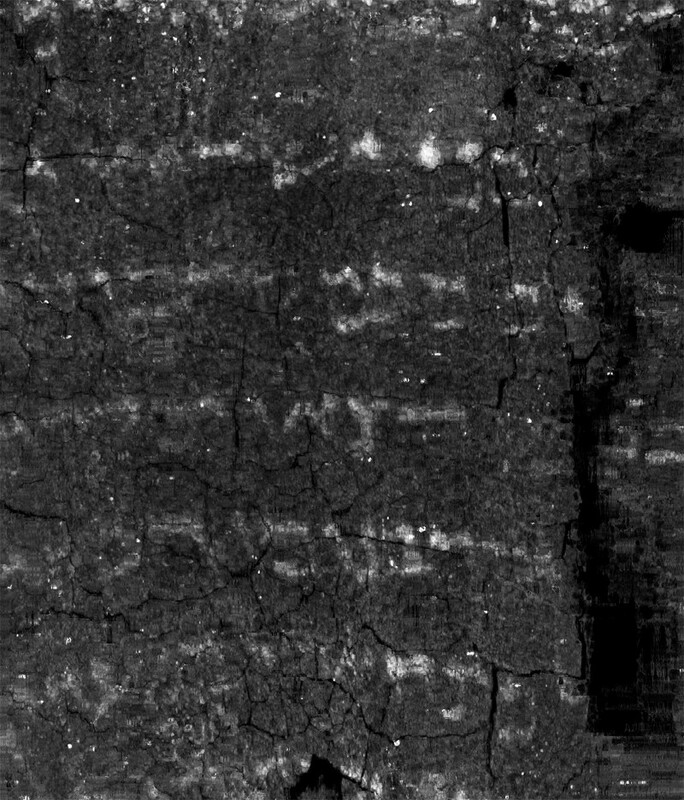 In Gittin 56ab the Talmud tells the story of zealots who wanted to fight the Romans as they got ready to attack Jerusalem. 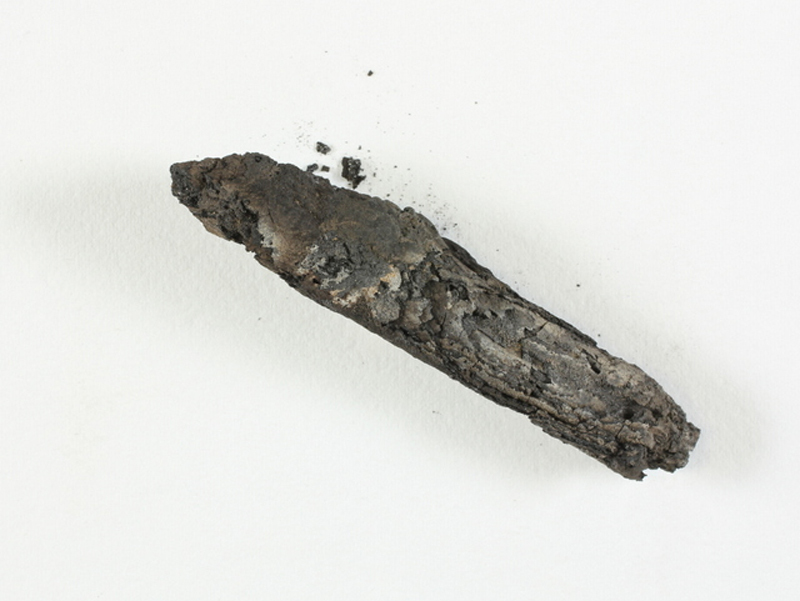 These zealots burned decades worth of food that had been stored in Jerusalem in order to force the residents of the city to confront the Romans. These zealots undoubtedly considered themselves pro-Jewish. They thought that by destroying all safeguards and alternative options, they could force the rest of the Jewish people to adopt their position in the battle against Rome. J Street, like the zealots 2000 years ago, view themselves as pro-Israel. While some parts of the Arab and Muslim world (f/k/a Romans) may seek to attack and destroy Israel, J Street views their approach to the conflict as the only logical course of action. As such, they have engaged in co-opting the US government to take positions against those sought by the government of Israel. Like the zealots who burned all of Jerusalem’s food supplies (now known as US support), they feel that Israel stripped of all of the territories won in 1967, without a Gaza blockade, and with a nuclear pact in place with Iran will secure Israel’s future. J Street is pursuing global and US pressure to make that happen, rather than seeking to convince the Israeli government. 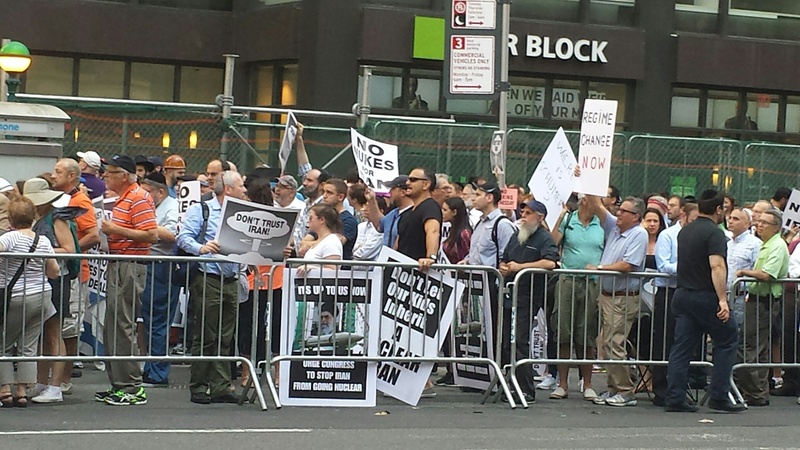 In the minds of many, the J Street positions have made them the a modern-looking version of Neturei Karta, the anti-Zionist Chasidic sect, similar to the clean-shaven Jewish outreach people who market a more modern version of Chabad outreach. Debating the merits of different approaches for how Israel deals with hostile neighbors is within constructive debate. Consistently arguing in favor of Israel’s enemies that seek to destroy the country and kill its people is akin to inciting violence. Review the statements and positions of J Street here and consider whether such voices deserve to be heard in your community. 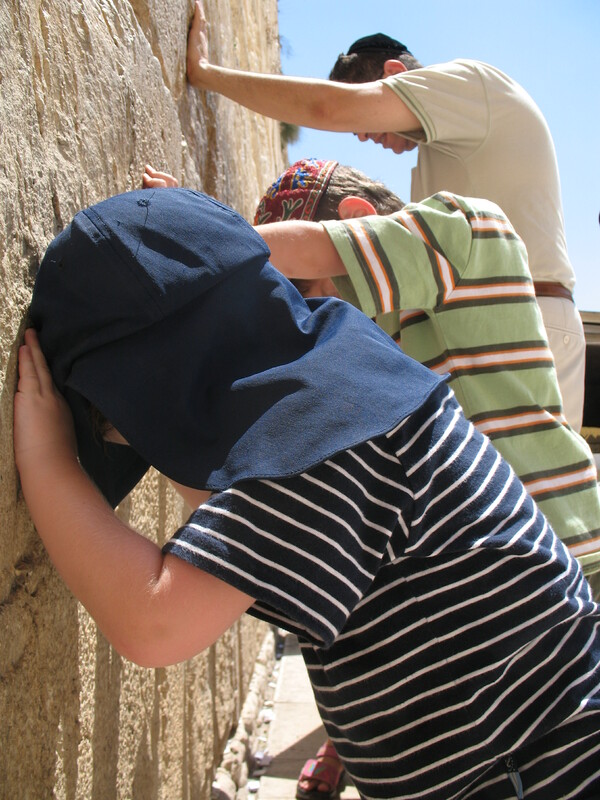 In modern times, the “Western Wall” or the Kotel has become the center of Jewish prayers. As it has done so, it has replaced the Temple and Temple Mount in the minds of many Jews, so much so, that people have forgotten and misrepresent what the Kotel actually is or have stopped caring at all. The secular anti-Orthodox newspaper quoted a left-wing charity in Israel which describes itself as “Promoting Civil Rights, Social Justice and Democracy in Israel“ and “Protecting and advancing human rights” which it feels it can achieve by funding movies questioning Israel such as “Breaking the Silence” and the anti-Israel 972 magazine. These are indeed the views of many secular and liberal Israelis who feel that Judaism has evolved from Temple service to prayer, and from prayer to “social justice”. Together with such evolution was an abandonment of historic places and forms of worship to a modern emphasis only on people. Those “vestigial organs” are there as part of history, but serve no function (and can and should be removed if they prove dangerous to the body as a whole). The Jewish Week continued that “for many Orthodox Israelis, the center of their Tisha b’Av observance is the plaza of the Western Wall, the last remnant of the Second Temple.” The statement repeats an often repeated falsehood about the nature of the Western Wall. The Temples were completely destroyed and no walls of the Temples stand today. Aish.com, which claims to be “the leading Jewish content website” posts on its website that “The Western Wall is a surviving remnant of the Temple Mount in Jerusalem,” . The Kotel is the western wall of the TEMPLE MOUNT, not of the Temple. The Temple Mount was built by King Herod between 19BCE and 63CE to extend the size of the platform southward to both enable more people and traffic flow to the Second Temple. As the Temple was built atop a hill, extending the platform at the same height as the Temple required “filling in” the slopes of the hill. The Kotel is the western wall of that supporting structure. The Kotel gained significance in Judaism (say compared to the southern Temple Mount wall which is similarly a retaining wall), around the year 1550. Prior to that year, many Jews visited and prayed on the Temple Mount itself including Rabbi Menachem Meiri (1249-1316) and Rabbi David ben Shlomo Ibn Zimra, (known as the Radbaz, 1479–1573), the Chief Rabbi of Jerusalem. However, around 1550, while Ottoman leader Suleiman I made various structural improvements to the city of Jerusalem, he set aside the Western Wall area as a designated area for the Jews to pray. 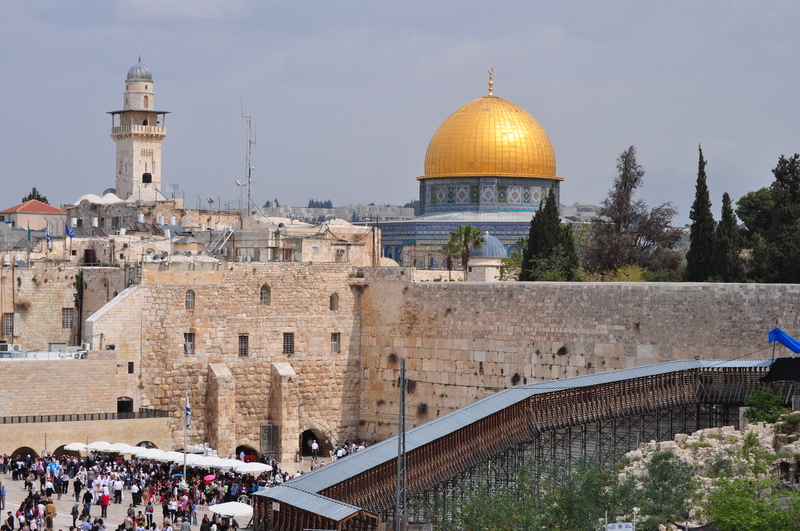 After the 1967 Six Day War, Israel reunited Jerusalem including the Old City, the Temple Mount and the Kotel. 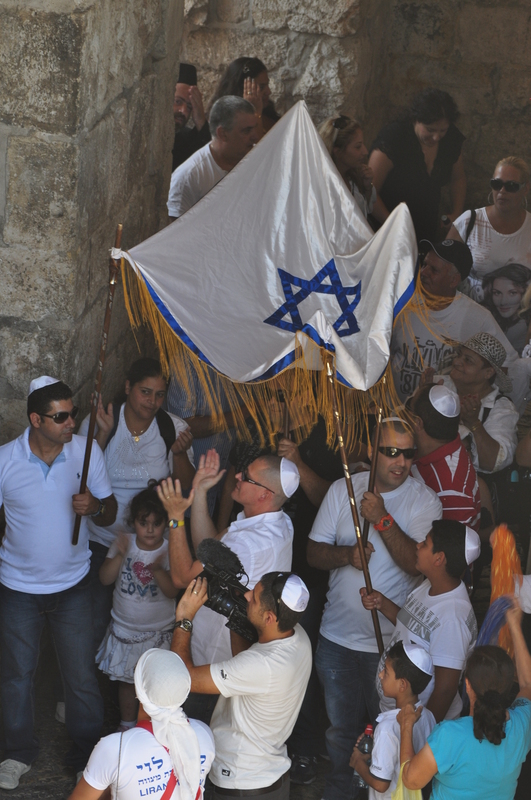 After 18 years of being banned from the city by the Jordanians (1949-67), Israelis celebrated their return to the Old City. To maintain calm after the war with the Muslim world, Israel handed administrative control of the Temple Mount to the Islamic Waqf. Israel then demolished the Mughrabi Quarter which abutted the Kotel to create the Western Wall Plaza that many know today. This plaza enables thousands of Jews to visit the Kotel at one time. Every year the Jews mark a day on the calendar to remember the destruction of the Temples. Over time, the Tisha b’Av holiday incorporated other tragic events such as the expulsion of 200,000 Jews from Spain in 1492. 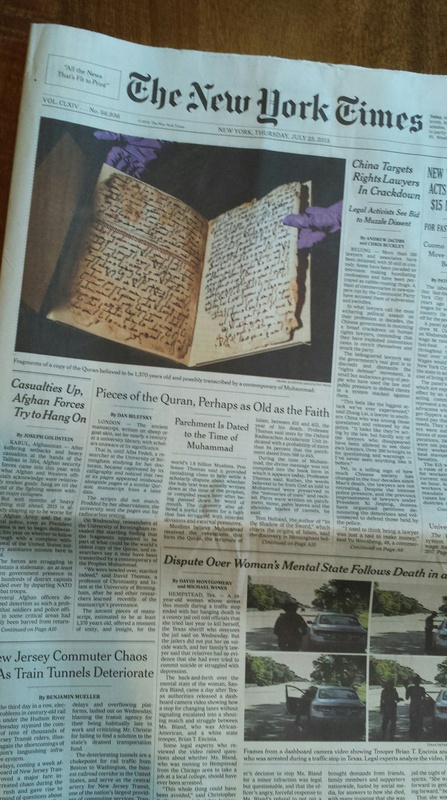 Perhaps today Jews should also mourn a newer tragedy in their history: their apathy and ignorance. In 2000, the Coen brothers released a movie called “O Brother, Where Art Thou?” loosely based on Homer’s Odyssey (it won the Oscar for Best Screenplay from Adapted Material). The original tale of 2700 years ago, described Odysseus’ 10-year ordeal to return home from his decade-long Trojan War. A convoluted parallel is taking place in the Middle East today. In 1979, Iran went through an Islamic revolution at which time it threw out its western-backed leader. In a year’s time, Iran was at war with its Muslim neighbor next door in Iraq. That eight year war claimed 1 million lives. Within two years of that war’s end, in 1990 Iraq went to war with its neighbor Kuwait, which brought America back to the region in Operation Desert Storm. America would return to the region to defend itself rather than an ally. After the terrorist attacks on the United States in 2001, the US launched a major offensive against Iraq in 2003, under the belief that Iraq was behind the 9-11 attacks and that it was developing weapons of mass destruction again (Israel destroyed Iraq’s initial plant in 1981). While running for president of the USA, then-Senator Barack Obama stated that the Iraq war was a mistake and promised to pull US forces out if elected, which he did in 2011. The vacuum created from the withdrawal of American troops was filled by Islamic radicals seeking to create a new Islamic State. The group brutally slaughtered many thousands of people as it sought to impose a new country based on radical Islam throughout the Middle East, beginning with Iraq. 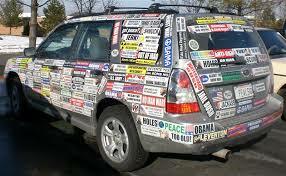 Obama defined himself in his presidential campaign as being anti-war. The world cast the young politician as a hero (like Odysseus?) and awarded him the Nobel Peace Prize in 2009 before he even did anything. His moniker “Hope” stuck to him like bumper stickers on a Subaru: here was a man who was going to leave the wars behind and bring Americans home. The decades of war in the Middle East were ending, and Odysseus – ‘er Obama – was the hero to make it happen. In Iraq, he removed all US troops, even though he was advised strongly against doing so by members of Congress. The US did not initially get involved in stemming Iran’s nuclear ambitions. In 2006 the UN Security Council passed its first resolution calling for Iran to stop its nuclear program, and US President George Bush convinced Russian President Vladimir Putin to agree to a sanctions program against Iran. However, when Iran elected Hassan Rouhani president in 2013, the Obama administration opted to shift courses from crippling sanctions and a military threat, to engagement. Obama called Rouhani. US Secretary of State Kerry met with Iranian Foreign Minister Zarif. The dream was that Iran had changed attitude to become more moderate, and therefore changed course on the direction of its nuclear program. The 2013 Iranian election provided a pathway for Obama to dial back on sanctions and threats on the Iranian nuclear program. While the Iran still shouted “Death to America, Death to Israel”, hanged gays from the center of the capital, and promoted terrorism around the world, Obama “Hoped” that Iran had moderated its ways with a single election, which would enable Obama to avoid returning American troops to the region. 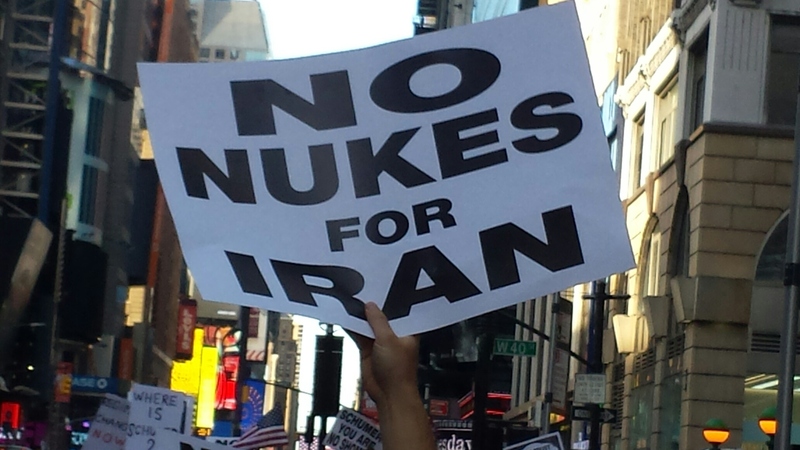 It is almost universal in the western world that people do not want Iran to have nuclear weapons. Whether in protests in New York or London, or reading blogs in Berlin or Tel Aviv, ordinary people understand that a state-sponsor of terrorism with a violent ideological bent should never be permitted to have weapons of mass destruction. In the summer of 2015, the question before the US Congress is whether the proposed Iranian deal will ensure that Iran will not have the ability to obtain nuclear weapons. For some reason, the view that the deal will be effective is held uniquely by Democrats, while Republicans view the deal as a guarantee for a nuclear-armed Iran. Like Odysseus, Obama is coming to the end of his journey. He has charted his way home from long wars, and he is doing everything he can to avoid returning back to the scene of the battles. However, avoiding war is not always a good choice. A commitment to end a war should only be kept if conditions warrant. A fear of returning to a region should not govern important matters of foreign policy. 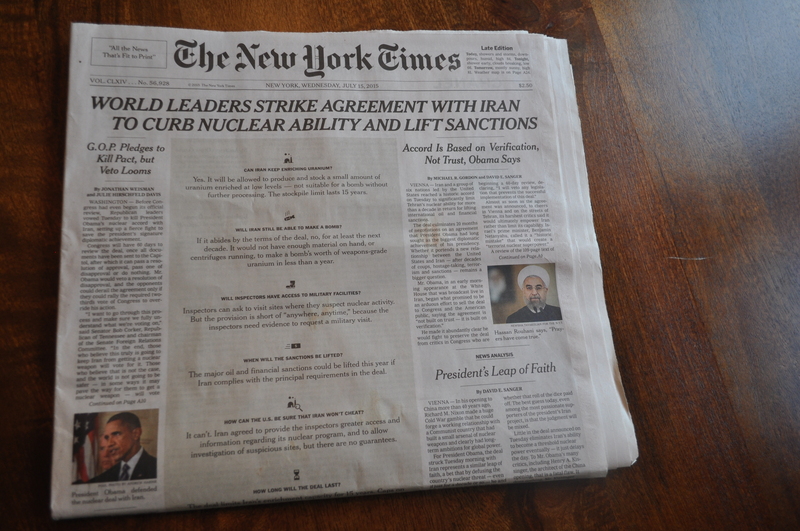 Obama claims that the Iranian deal will prevent the country from obtaining nuclear weapons and is pitching the merits of the deal on that basis. His party loyalists are willing to believe him; liberals will always believe in this hero. But is this deal more about Obama finally arriving home to complete his epic poem? The world is not a poem which ends with Obama’s last speech. The world will live with the ramifications of this deal for many years to come. There are many who feel strongly that Obama and the United Nations are pursuing a dangerous course that will guarantee a much more costly war in the future, rather than deal effectively with the issue today. A nuclear-armed rogue state is not a souvenir the world can afford to end Obama’s journey. That claim is questionable in the short-term and clearly false in the long-term. What is certain, was the deal established the new parameters for peaceful nuclear power for the world to (potentially) replicate. There are more than 31 countries that use electricity from nuclear plants – such as Italy and Denmark that each get over 10% of their power from nuclear plants – but do not host nuclear power plants in their country. Nuclear power plants generate 14% of the electricity in the world. Despite the sizable role that nuclear electricity-generation plays, there are many safety concerns. Peaceful power plants: Notable “meltdowns” of peaceful nuclear power plants include Ukraine (1986); United States (1979); and Japan (2011). Countries with nuclear power plants institute many safety procedures to protect the surrounding areas from potential nuclear radiation fallout. Fuel: Beyond the plants themselves, countries carefully manage the materials that are the basis for nuclear power: raw uranium and plutonium (that are mined); enriched uranium and plutonium (suitable for use in nuclear power or weapons); and spent fuel rods (post-use, no longer able to generate electricity, but have radiation). Mining: Uranium is mined in 20 countries, with 90% mined in just a handful of countries: Australia; Kazakhstan; Russia; Canada; Niger; Namibia; South Africa; Brazil; USA; and China. Plutonium, while found in trace amounts in nature, is created in nuclear plants by modifying uranium. Spent fuel: Edwin Lyman and Harold Feiveson have written about safety concerns of spent fuel. Spent nuclear reactor fuel is highly radioactive and contains significant concentration of weapons-usable plutonium isotopes. Some countries like the USA, Canada and Sweden plan to store the spent fuel in geologic repositories. Others like UK and France reprocess the spent fuel and separate the plutonium from the uranium. Such uranium, which can be handled, becomes a potential source for theft to be used in nuclear weapons. Nuclear weapon facilities: Some nuclear facilities do not focus on generating electricity but are built specifically to produce weapons of mass destruction. These facilities pose risks not only from the radioactive materials or potential fallout from a meltdown of the plant, but from the massive destruction that such weapons can produce. Most countries with peaceful nuclear power plants do not have end-to-end facilities which can produce nuclear-generated power completely on their own. Countries do not typically mine uranium, enrich it, produce the electricity and store or reprocess the spent fuel. For example, Japan, which gets over 30% of its power from 50 nuclear plants, imports uranium from Australia, Kazakhstan and Canada. Historically, Japan relied on other countries for various steps of its nuclear program, but it has recently taken steps to enrich the raw uranium and reprocess some of the spent fuel inside Japan. For the most part, spent fuel has still been stored in the UK and France. 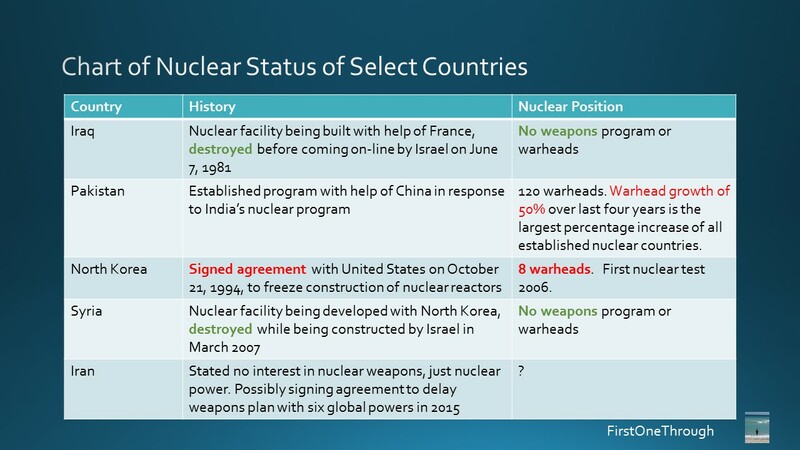 With the new 2015 P5+1 deal with Iran, Iran will have complete end-to-end nuclear capabilities with global approval. Iranian Uranium Mines: Iran opened two uranium mines in 2013, the Saghand mine and Gchine mine, that provide some uranium for its enrichment program (but these have low concentrations of uranium). The two mines in the city of Saghand in central Iran operate 1,150 feet underground. Iranian Milling Facility: Approximately 75km from Saghand is the Ardakan mill which processes the uranium into yellowcake. Iranian Enrichment Facility: The Uranium Enrichment Facility at Isfahan purifies the yellowcake to UF6, a gas, which enables it to be enriched. Enrichment increases the proportion of the U-235 isotope from its natural level of 0.7% to 3-5%. After enrichment, the UF6 gas is converted to uranium dioxide (UO2) which is formed into fuel pellets. These fuel pellets are placed inside thin metal tubes which are assembled in bundles to become the fuel elements for the core of the reactor. Natanz is Iran’s primary enrichment facility and consists of three underground buildings, two of which are designed to hold fifty thousand centrifuges, and six buildings built above ground. It’s stated purpose is to produce enriched uranium for use in both the Tehran Research Reactor (requiring 19.75% U-235 content) and fuel for the Bushehr nuclear power plant (requiring 3.5% U-235 content). The Fordow Enrichment Plant is a large underground industrial facility located near the city of Qom. The site includes two underground halls each able to hold 1,500 centrifuges. Iran failed to disclose the existence of the Fordow facility until it was revealed publicly by western governments in 2009. A heavy water nuclear reactor near Arak was first identified by US satellite images in 2002. Heavy water reactors produce a lot of plutonium waste product as part of enriching uranium, which can be used in nuclear weapons. The nuclear reactor at Bushehr on the Arabian Gulf, was started by Germany in the early 1970s, but suspended after the 1979 Iranian Revolution. Russia took over constructing the plant and started delivering the nuclear fuel in May 2011. Iran will soon have a complete end-to-end nuclear program which would include several underground and fortified nuclear sites. While on the surface it may appear that the infrastructure required for both electricity and weaponry is the same (just some technical understanding stands in the gap), the reality is more complicated. In short, the raw materials and infrastructure are very similar, while the technical capabilities are a bit more complicated. Iran’s Nuclear Program: from Energy to Weapons? In July 2015, the P5+1 countries effectively endorsed the acceptable parameters of a valid and peaceful nuclear energy program. Which begs the question, if there are 31 countries that have nuclear power plants, why are there only 9 with nuclear weapons? Do they not have the technical capabilities for producing a weapon? Lack the desire? How much effort and infrastructure would it take for a country like Hungary to go from a peaceful nuclear program to a weapons program? If a known state-sponsor of terrorism which calls for the annihilation of other countries (Iran) is permitted to keep such a vast nuclear infrastructure, every other country would be permitted to build comparable nuclear infrastructure. This is true for countries with existing nuclear plants like Armenia, or non-nuclear countries like Venezuela. In other words, this deal marks the world’s endorsement of a baseline peaceful nuclear program. This is obviously very dangerous for the safety and security of the entire world. No end-to-end capabilities. As a checks-and-balance for nuclear proliferation, no country should be able to maintain a complete mines-to-reactor program. Countries which are state-sponsors of terrorism should be barred from two components of a complete program. 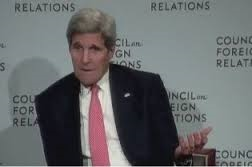 For Iran, they would likely opt to abandon their mines which are not very productive anyway. They would then be left with a choice of modifying their global behavior or giving up another component of their program (maybe opting to ship all spent fuel out of the country permanently). No underground fortified facilities. As a global precaution against a peaceful program becoming weaponized, no nuclear enrichment facilities should be fortified to such a level that destroying them with conventional weapons becomes nearly impossible. This would require Iran dismantling some of their underground facilities or making them less fortified. Anytime, anywhere inspections. All peaceful nuclear facilities should be available for inspections by the IAEA at anytime. For this Iranian deal, it would require a more stringent approach than the lengthy 24-day process currently contemplated. Cap on centrifuges. Not only should the number of centrifuges of a country be capped, but no facility should be able to have over a certain number of centrifuges (for example, a cap of 6000 in a country, and no single facility with over 1,500). These are some examples which should become a requirement of every country for every peaceful nuclear power program. These steps would help protect the entire world from a step-up from peaceful nuclear energy to threshold nuclear weapons. The current P5+1 Iranian nuclear deal cannot be viewed in a simple comparison of whether the deal is better than no deal. It must be viewed in the context of establishing a new baseline for the use of nuclear power around the world. On such basis, it is easy to see the existing shortfalls. To date, only Israel has developed a protocol to prevent countries from obtaining nuclear weapons.